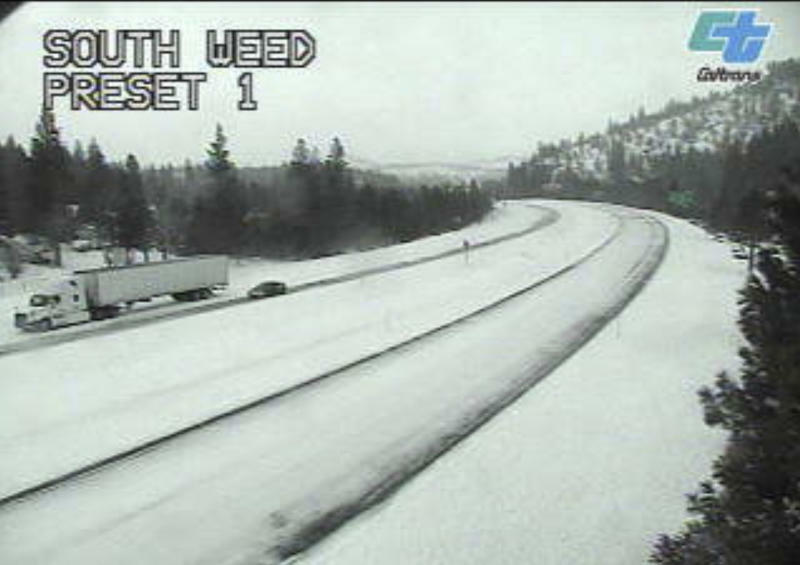 This image from a Caltrans traffic camera shows snow on Interstate 5 in Weed, Calif., Wednesday, Feb. 13, 2019. Rain, snow and wind swept into California on Wednesday, flooding roadways, toppling trees and disrupting travel while bringing renewed threat of mud and debris flows from the state’s huge wildfire burn scars. (Caltrans via AP)LOS ANGELES (AP) — Heavy rain again raised the risk of mudslides in Southern California burn areas where evacuations were ordered during a powerful storm that flooded roads, toppled trees and cut power further north.The system known as an atmospheric river snaked through southern Oregon, Northern California and western Nevada while feeding on a deep plume of moisture stretching across the Pacific Ocean to near Hawaii, the National Weather Service said.The tempest followed more than a week of severe weather in the Pacific Northwest and was the latest in a series that has all but eliminated drought-level dryness in California this winter.Mandatory evacuations were in effect for areas near a burn scar in the Santa Ana Mountains southeast of Los Angeles where officials said the risk of debris flows was high.Tim Suber said he has lost count of how many times his hillside neighborhood in Lake Elsinore has been evacuated between last summer’s devastating wildfire and this winter’s succession of storms.”I’m not going this time,” Suber said Wednesday after Riverside County sheriff’s deputies warned him that he could end up trapped if roads flood. „I’ve got 35 chickens and a daughter who won’t leave them behind. So we’re staying.”The real estate agent said he’s confident culverts and washes in the area will handle any runoff after crews removed dozens of truckloads of dirt following the last storm. 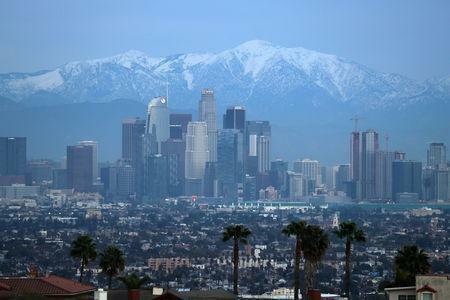 But just in case, „my car is gassed up and ready to go at a moment’s notice,” said Suber, 54.Winter storm warnings were posted in the snow-laden Sierra Nevada, where the forecast said up to 7 feet (2.1 meters) of new snow could be dumped at elevations above 9,000 feet (2,743 meters).The National Weather Service recorded winds gusting to 132 mph (213 kph) atop the Mount Rose ski resort southwest of Reno, Nevada.A backcountry avalanche warning was issued throughout the Sierra.”We are still trying to dig out of the last system, and we have another big storm here,” said Kevin „Coop” Cooper, spokesman for Kirkwood Mountain Resort south of Lake Tahoe.Five passengers suffered minor injuries when a Delta Air Lines flight headed from Southern California to Seattle encountered severe turbulence in the storm and was forced to make an emergency landing in Reno. Photos on social media showed a drinks cart upended and snacks and soda cans littering the aisle. One passenger tweeted the plane did two nose dives in „crazy turbulence” but the crew „handled it perfectly.”Snow heavily impacted stretches of vital Interstate 5 in far Northern California, causing closures and forcing tire-chain requirements.A local state of emergency was declared in Shasta County because of significant storm damage, a Sheriff’s Office statement said. Redding, the county seat, turned its library into a warming center.Power outages also hit thousands of utility customers in the region.Widespread roadway flooding occurred north of San Francisco Bay. To the east, a swath of California’s Central Valley was under a flood warning.At one point, flight arrivals at San Francisco International Airport were experiencing delays of several hours, the Federal Aviation Administration said.In the Fresno County city of Sanger, police posted social media photos of wind damage to the roof of a school along with snapped trees.Further south in Santa Barbara County, which was hard-hit by a devastating debris flow in January 2018, officials predicted rainfall rates were below thresholds for new flows, but residents were still advised to stay alert.In Washington, thousands of Puget Sound Energy customers lost power, and Interstate 90 was closed for a second day Wednesday across Snoqualmie Pass in the Cascade Mountains. 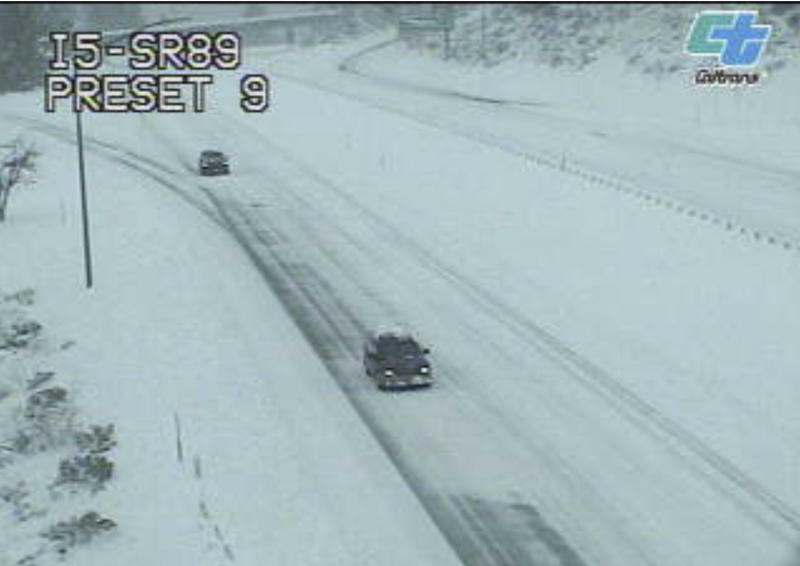 The town of North Bend declared a state of emergency because of several feet of snow.In Oregon, transportation officials closed about 20 miles (32 kilometers) of the westbound lanes of Interstate 84 in the Columbia River Gorge east of Portland because of icy conditions that caused numerous wrecks and stranded drivers for hours.Authorities brought stranded travelers water and food and tried to get gas to vehicles that needed it.The West’s winter storms have greatly aided California’s water supply.The most recent Sierra snowpack survey taken on Jan. 31 was 100 percent of normal to date. More snow has fallen since.In the Eastern Sierra, the Mammoth Mountain resort reported the latest storm had already added 8 inches (20.3 centimeters) to its summit season total, which is nearing 38 feet (11.5 meters).Mammoth said it planned to keep its slopes open to skiing and boarding through the Fourth of July, at least._AP writers Olga Rodriguez in San Francisco, Christopher Weber, John Rogers and Amanda Lee Myers in Los Angeles, Chris Grygiel in Seattle and Scott Sonner in Reno, Nevada, contributed to this report. „The big thing that we could see as life threatening would be mountain travel that will become very dangerous,” said NWS meteorologist Cory Mueller. Ottawa (AFP) – A huge snowstorm blanketed eastern Canada on Wednesday, closing schools, grounding hundreds of flights and forcing many workers to stay home as tens of thousands of plows toiled to clear roads. Big fluffy snowflakes began falling Tuesday afternoon, with more than 30 centimeters (12 inches) accumulated on the ground by the next morning and more on the way, according to weather forecasts. Wind gusts up to 70 kilometers (44 miles) per hour were also expected in the evening, blowing snow and severely reducing visibility from Toronto, Ottawa and Montreal to the Atlantic coast provinces. Nearly 250 flights have been canceled in Montreal since Tuesday, while travelers described disruptions at the country’s biggest airport in Toronto — where flight cancelations topped 400 — as a nightmare. In Ottawa, residents sweated under knit hats and heavy parkas trying to dig out. 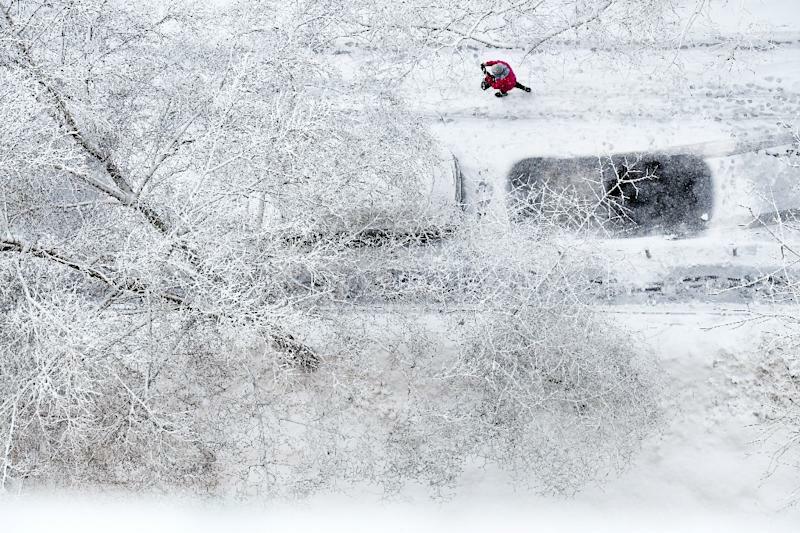 The odd commuter on skis was spotted headed to work. Others wore snowshoes. Public broadcaster CBC Radio started reporting the near-record dump in height of dog breeds — from a Beagle to a Great Dane — and invited kids to call in to share their „snow day” stories after scheduled guests canceled. 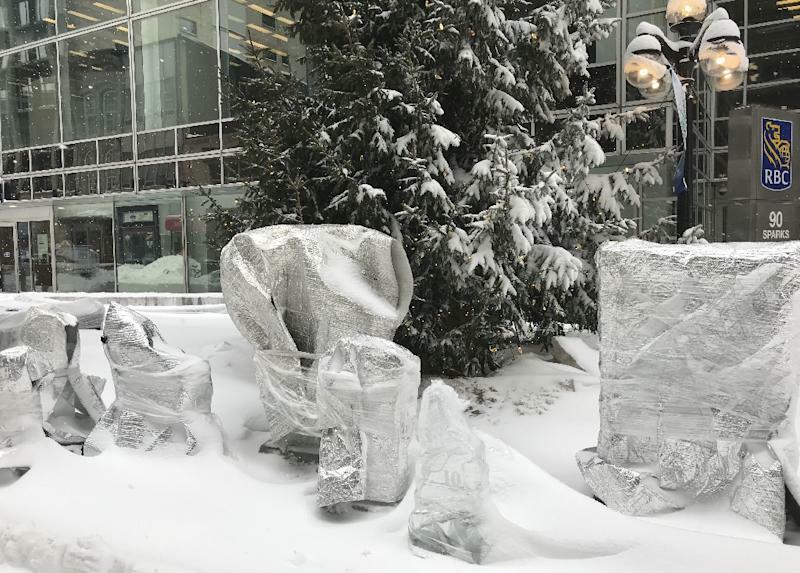 Ice sculptures for the city’s annual Winterlude festival, meanwhile, were wrapped to protect them from snow, ice pellets, possible freezing rain and strong winds. According to meteorologists, the late winter storm was caused by a „Colorado low,” forming in the US state and picking up moisture and warmth from the Gulf of Mexico before heading north. Environment Canada weatherman Simon Legault noted that Montreal was expected to get a whopping 40 centimeters (16 inches) of snow over two days, or one-fifth of the amount that would normally fall on the city all winter. „It’s been a sawtooth winter,” he said, describing big and frequent swings in temperatures from -40 Celsius (-40 Fahrenheit) to above freezing, and the reverse, in a matter of hours. „There’s been a lot more snow than usual too,” he added. 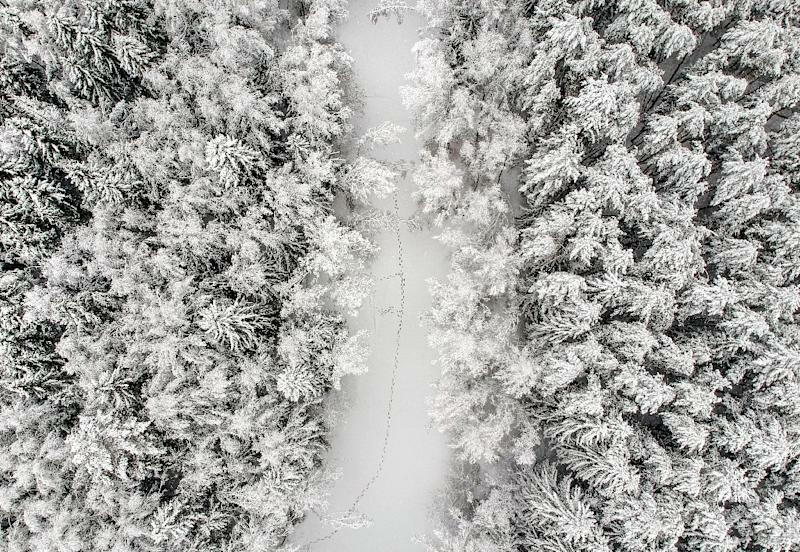 „Lots of snow!” the National Capital Commission (NCC) said on its website, announcing large numbers of cross-country and backcountry skiers hitting trails in Gatineau Park, near Ottawa. The Rideau Canal skateway — the longest in the world — was also open but ice conditions were listed as only „fair due to light snow cover.” Officials warned skaters to watch for cracks and rough ice hidden beneath the snow. And Quebec’s Mont Tremblant ski resort said business was brisk, with many people taking advantage of school and office closures to hit the slopes. 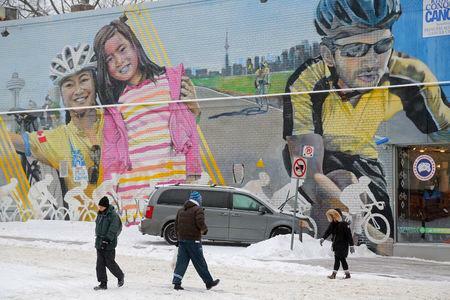 TORONTO (Reuters) – A winter storm dumped heavy snow and ice pellets on the most populated parts of Canada on Tuesday, closing schools and paralyzing transportation. „We recommend that if (people) don’t have to go to work today that they stay home, and if they have to be on the roads, go slow…because the conditions are quite dangerous,” said Gerald Cheng, a meteorologist with Environment Canada. This has turned into a memorable week for snow lovers in Hawaii. Mind you, there’s only snow forecast for 3 of Hawaii’s tallest mountain peaks: Haleakala on Maui and Mauna Kea and Mauna Loa on the Big Island. For example in Honolulu, the forecast for the next few days may not be perfect, but it’s still tropical: High temperatures in the 70s with a 50 percent chance of showers and thunderstorms each day, according to the National Weather Service. On the peaks of the Big Island mountains, some 3-5 inches of snow is forecast to fall there over the next three days, along with about 1/4 inch of ice. Black volcanic cinders are covered with a dusting of snow at the Polipoli State Recreation area on the slopes of Haleakala near Kula on the Hawaii island of Maui, on Feb. 11, 2019. Snow on Halekala on Maui is rare but not unheard of, as it happens about every five years. What was unusual last weekend was that snow fell at such a low elevation: officials say the coating at 6,200 feet at a state park on Maui could be the lowest-elevation snowfall ever recorded in the state. Precipitation that falls as rain in coastal and valleys areas falls as snow in the mountains. Park officials said Tuesday that snow, ice, fallen trees and rocks are making the area dangerous. Superintendent Natalie Gates encourages people to view the snowcapped mountain from afar. 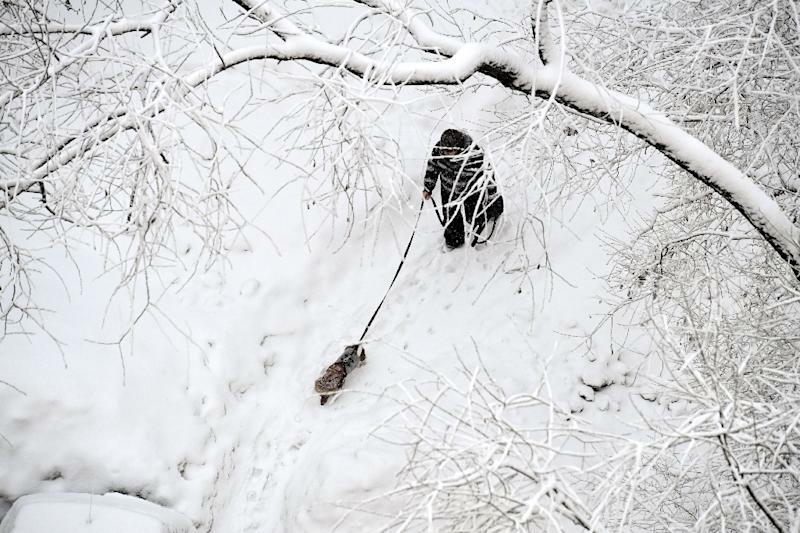 Moscow (AFP) – Record snowfall covered Moscow on Wednesday, with streets and monuments blanketed in white and dozens of flights cancelled at the city’s main airport. Aeroflot airline said on its website that it had cancelled more than 70 flights in and out of the city’s Sheremetyevo airport. Heavy rains have flooded swathes of Queensland state, with the full scale of the devastation on drought-hit cattle stations becoming clearer as floodwaters recede Heavy rains have flooded swathes of Queensland state, with the full scale of the devastation on drought-hit cattle stations becoming clearer as floodwaters recede (AFP Photo/Handout)Townsville (Australia) (AFP) – Hundreds of thousands of cattle weakened from a severe drought are feared to have died in record-breaking floods in northeastern Australia, authorities said Friday, as they stepped up efforts to feed surviving livestock.Incessant rains over an almost two-week period have flooded swathes of Queensland state, with the full scale of the devastation on drought-hit cattle stations becoming clearer as floodwaters recede.”We are expecting hundreds of thousands in terms of stock losses,” Prime Minister Scott Morrison told reporters in Sydney.”This will be heartbreaking to these communities that have been experiencing years of drought, only to see that turn into a torrential inundation which threatens now their very livelihoods in the complete other direction.”Queensland Premier Annastacia Palaszczuk Friday spoke of seeing a „sea of dead cattle” when she toured one region on Thursday.”To see the cattle spread across these yards, not moving, it made you feel sick in the stomach,” she told national broadcaster ABC.Bales of hay and fuel have been transported into towns near the disaster zones and are being distributed to farmers so they can carry out airdrops to their stock.Farmer Rachael Anderson and her husband, who manage Eddington cattle station near Julia Creek township, said 800 of their 1500 cattle were still unaccounted for.”The cattle didn’t have anywhere else to go… We’ve got a railway line close to us and the whole railway line is just tangled with dead cattle,” Anderson told AFP.”If the floodwater wasn’t enough to kill them, then those that got to higher areas were exposed to elements that were not conducive like rain hitting them at 60 kilometres an hour. They can’t survive them long term.”Anderson — who had been hand-feeding cattle over the past few months amid the crippling drought — said there were also many dead kangaroos as well as birds that were falling dead on the ground.About half of Australia’s 25-million strong cattle herd is bred in Queensland state, and graziers say the floods — described as a once-a-century event — could devastate their industry.”This will finish a lot of people, there’s some people who’ve lost everything, every beast they own, so there’s no income at all,” farmer William McMillan told the ABC. 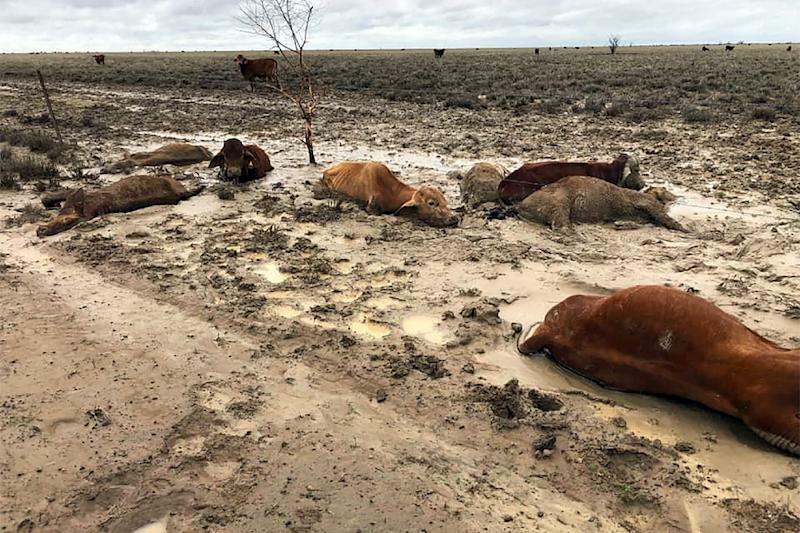 Sydney (AFP) – Australia’s largest cattle company has warned of „extreme losses” after record-breaking floods, as producers said more than 300,000 cows were drowned or washed away in the vast continent’s northeast. 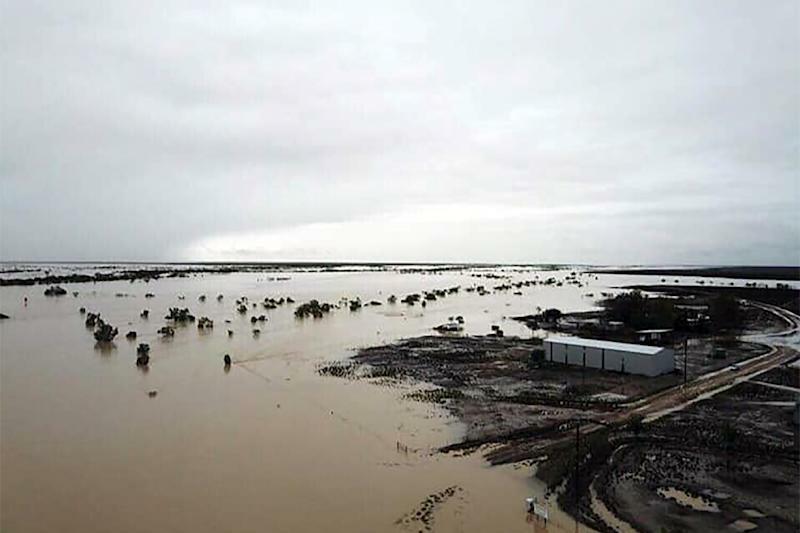 Australian Agricultural Company Ltd (AACo) said Monday that four of its properties were „severely impacted” after „unprecedented levels of flooding” in the region, with „extreme losses” forecast for one 30,000-head station. A clearer assessment of the losses, which AACo said would have a „material” impact on its earnings, would only be possible as floodwaters recede, the company added. 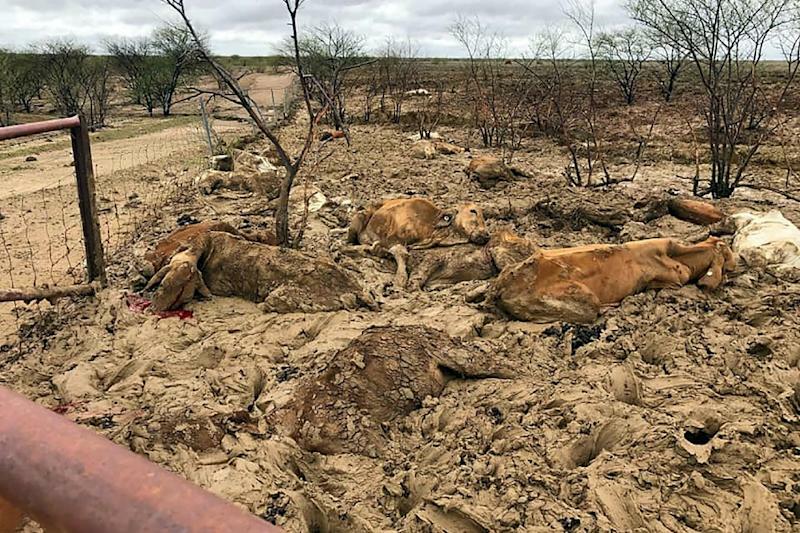 „We think that there’s over 300,000 head of cattle that have been lost, drowned or washed away” in the state, Georgie Somerset of farm lobby group AgForce said Tuesday. „We are literally ferrying one bale of hay at a time to feed the stock that we can find,” Somerset added. Australia’s weather bureau warned Tuesday that Queensland’s longest river was „experiencing its most significant flood in at least the last 50 years”. 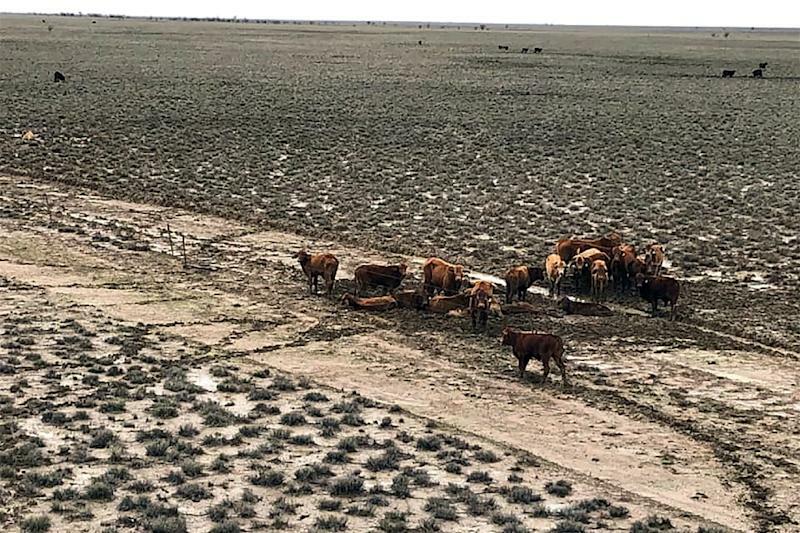 „Major flooding will continue along parts of the lower reaches of the Flinders River this week and into next week,” it added.